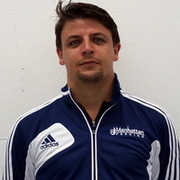 Coach Brando Messinese began fencing at age 10 and has been involved in fencing for over 19 years. He grew up at the Fides Livorno Club, the home club of Olympic Champions Baldini and Montano. He received his Fencing Master Degree in 2009 from the Accademia Nazionale di Scherma in Napoli. He started coaching at Circolo Scherma Fides Livorno at age 16 as an assistant coach and later took over the head coach position. Under his team’s coaching, the students achieved outstanding results in their home country and international tournament such as World Cups and World Championships. Brando moved to the United States in March 2013 and worked at Nyack Fencing academy. Starting September 2015, he will be coaching at the Manhattan Fencing Center as a full time coach.